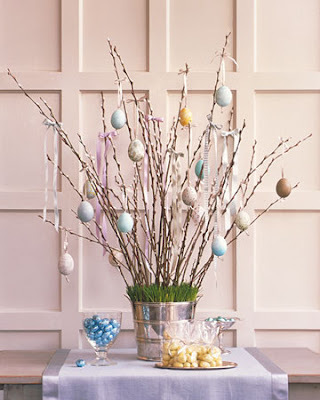 It's less than a week until Easter, but thanks to Martha, there are plenty of last minute ways to get your Easter decorations on. Let's hop right in, shall we? 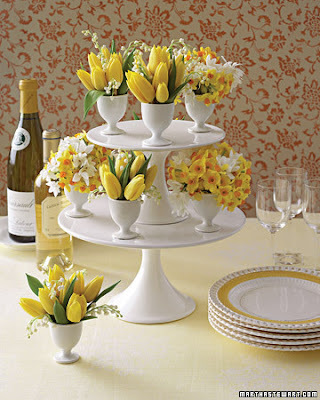 Have you seen all these egg cups floating around? If so, are you wondering what to do with them? Martha, in her never ending quest for finding alternative uses for things, has come up with a genius idea. Use your egg cups as flower vases for a perfectly themed centerpiece. This idea might be favorite. Put your bunnies and colorful Easter candy on display in clear mason jars. It's a "Bunny-scape!" 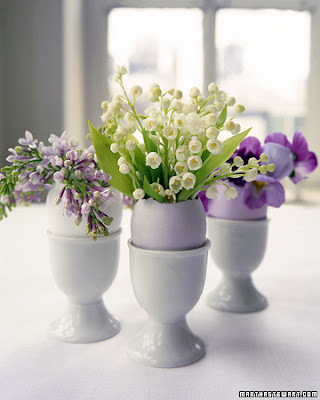 Why not use your old Easter baskets as flower vases as well? 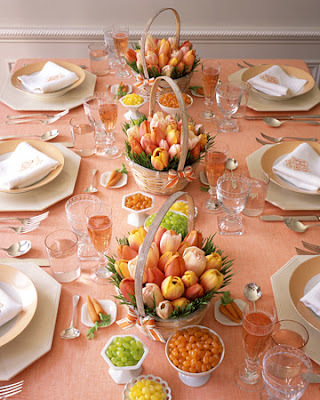 Combining tulips and wheat grass in a low arrangement makes it appear that you have a tulip patch right in the center of your table. Darling! Pretty centerpieces and flowers not your thing? 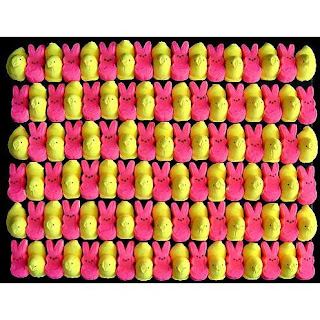 Why not try some Peep Art? You know, Peeps, the famous Easter candy? Personally, I can't stand them, but some people are so obsessed they turn it into art. Mr. Fo and I were watching Unwrapped on the Food Network - its an excellent show that shows you how some of America's most famous processed food is made. 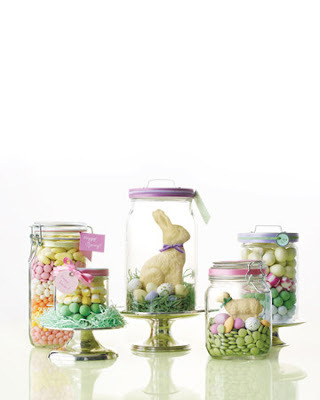 This particular show was all about Easter candy - it was incredible! Seriously, the way they make those speckled robins eggs will blow your mind for reals. But I digress. The show opened my eyes to wonderfully wacky world of Peep Art. With that, I'm off to Costco to buy some Peeps in bulk.